France in London | Why choose a bilingual nursery school for your child? Why choose a bilingual nursery school for your child? Choosing the right school for your child is probably one of the most stressful and difficult decisions you will ever have to make as a parent. So many things have to be taken into consideration: the type of school, the distance from your home and the time your child will have to spend travelling to and from school every day, the number of pupils per class to ensure that your little one will have as much attention from his teacher as possible, the type of education the school provides and whether you can afford to send your child to a private school. It is essential for parents to find a place where their 3-year old will be happy and enjoy learning, where a child is most likely to flourish and achieve his full potential, where he will be encouraged and nurtured, where he will be stimulated in a warm and caring environment with good educational toys and a large choice of sports and other activities. Some busy/working parents might also be particularly interested in a school that will look after their child after class. All of this is to be taken into account when selecting the right school for your child. There is no doubt that smaller classes with a good teacher to child ratio is more conducive to a better teaching process where children are able to express themselves because teachers have more time to listen to them. They are also better equipped to learn how to respect each other. Parents want their kids to be open-minded and curious. What better way to introduce them to another culture than by teaching them a second language? The younger the child, the easier it is for him to get the right accent and memorise new words. You may consider sending your child to a bilingual nursery school because you believe that it would be a real advantage for him to learn another language. It is so much easier to do it when a child is 3 than when he is older. 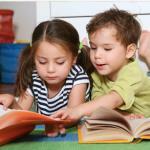 Furthermore, it has also been proven that it is easier for bilingual children to multitask. A study from York University in Toronto tested 104 children and noticed that those who spoke several languages were more relaxed about switching from their mother tongue to another language and as a result, it was also easier for them to switch between tasks. In addition, they also had a higher level of concentration when doing school work and were able to complete their tasks faster. Sending your child to a bilingual school also gives you more choice for instance, you could decide later whether to send him to a French or to an English school later on or even whether it would make moe sense for him to continue his education in a bilingual school. As an example, La Chouette School, has a majority of French children (most of them going to the Lycée Français Charles de Gaulle), however 40% of their pupils register in English primary schools. 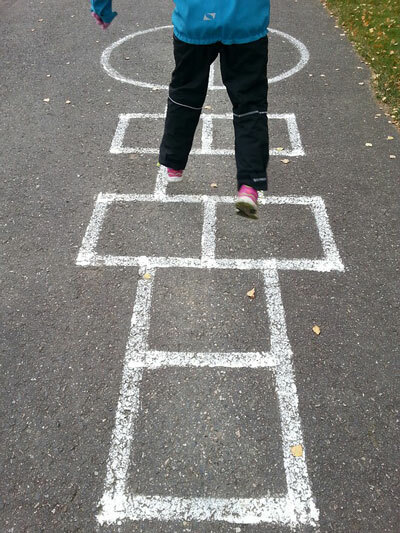 “Our pupils follow the EYFS as well as the French Education programme", Magali Amar explained. "For two days, classes are in French, then in English for the next two days. We spend Wednesday mornings doing activities in both languages.” Some of their pupils are neither French nor British and a bilingual school gives them the opportunity to learn 2 languages in addition to their own mother tongue. Montaigne said that "Mieux vaut une tête bien faite qu'une tête bien pleine". More than being instructed, it is also essential for children to be well educated. 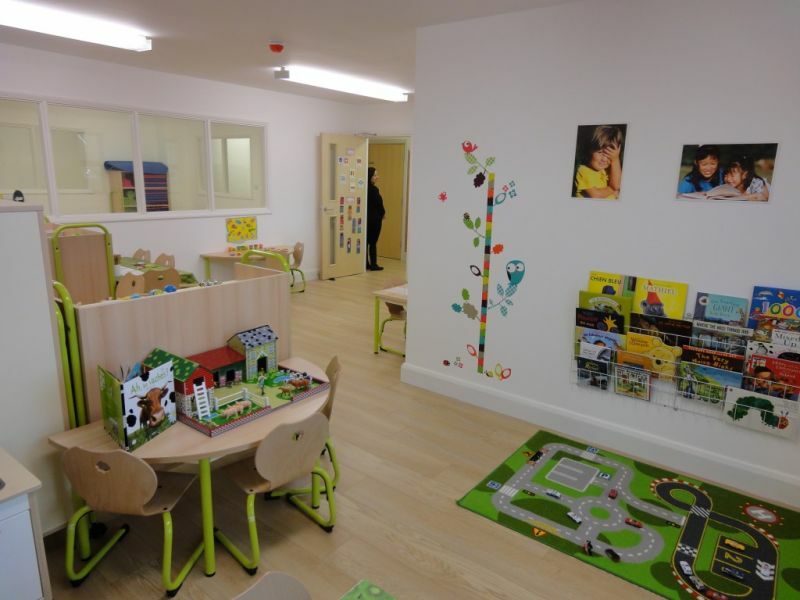 A nursery school such as the Chouette School, which focuses on good manners, teaches your child how to be well behave, not only with adults but also with other children. “They learn to become pupils, then to live together and respect each other” Magali Amar said. La Chouette School’s slogan is “Well-being, Know-How and Knowledge” : by learning to work together, the children will be more confident and grow in a peaceful and warm atmosphere. Children are taught to learn by themselves thanks to the Montessori method. These activities consist in letting the kids choose what they want to do, then do it by themselves, without being helped by their teachers. The objective is to teach them how to control themselves and learn from their mistakes so that they won’t make the same mistakes again. Last but not least, La Chouette School makes their pupils learn how to respect the environment. With ecological furniture and organic food, pupils are taught to take care of nature and clean after themselves. They visit parks and meet street cleaners to learn the impact of their behaviour on nature. A good way to make the world a better place for future generations.